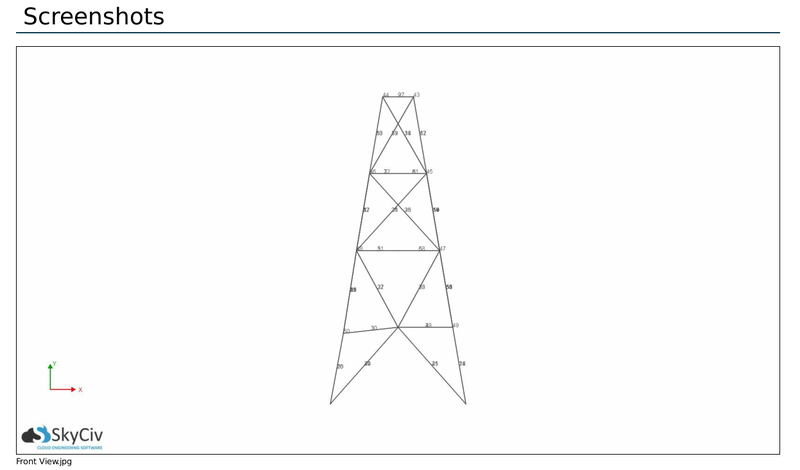 SkyCiv provides a useful summary of your structure's results in its Analysis Report. Simply click the 'Analysis Report' menu button on the left to open up the pop up. Having the 'User Defined Screenshots' option selected allows you to include any screenshots you've previously taken into your report. Take a look at the Example below. 1) Take a screenshot of your structure with the screenshot button. Save the screenshot. 2) Ensure that the structure has been solved. If it hasn't, then click solve. Click the 'Analysis Report' menu button on the left. 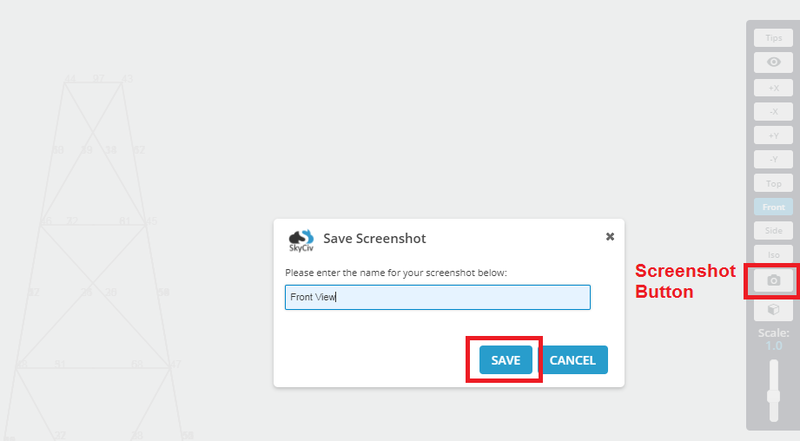 Check the box for 'User Defined Screenshots' to bring up a menu on the right. Click the 'Front View' screenshot you just saved to include it. Export to PDF. 3) After you open the PDF, you'll notice that the screenshot has been included in a section of your report.